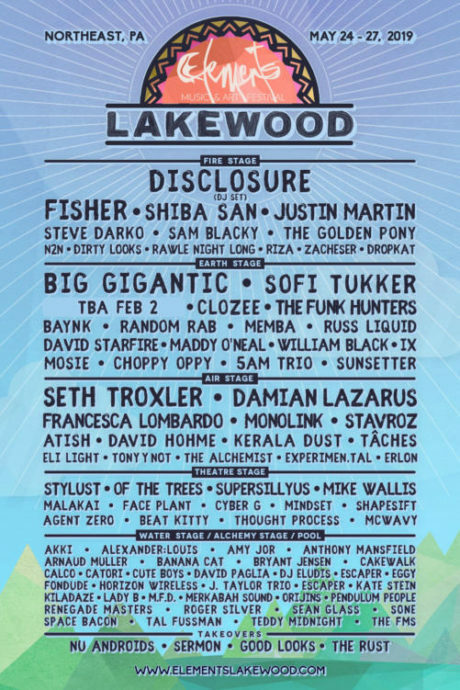 Returning for the third year, party curators BangOn!NYC unveiled the lineup for their Elements Lakewood festival Today. And man is it stacked. 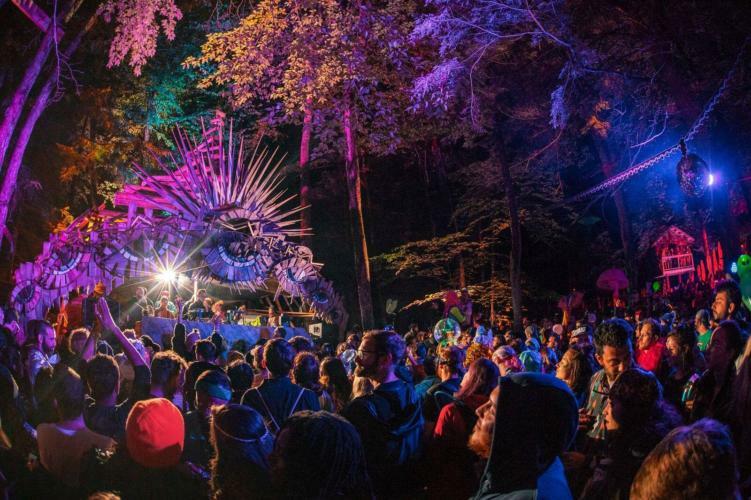 Taking place over Memorial Day Weekend, the three-day camping fest will feature impressive names including Grammy nominated artists Disclosure, Fisher and Sofi Tukker. Also set to play are house mainstays Justin Martin and Shiba San, rising star Steve Darko, Big Gigantic, funk house duo The Funk Hunters and over 100 others. Including loads of local talent, something that the festival makes sure to highlight each year. Read about lodging options and purchase tickets here. Elements Lakewood offers more than a wide array of great music spanning across various genres and seven different stages. The Wellnest will provide attendees with wellness activities, game programming and workshops. There is also a myriad of interactive art installments and other experiences to keep attendees captivated and entertained. Announced so far, festival attendees will be able to take part in aromatherapy, bass, hip-hop and sunset yoga, a cuddle and consent class, ecstatic dance, improv comedy workshops, sound baths and more. View the website for a up to date list of activities and other cool facts about the festival.